May 10, 2017 - The article, "Barton beware: Barton doctrine prevents Bermuda insurers from enforcing arbitration clause in foreign court" by Sarah Cave and Dustin Smith was published in Insolvency and Restructuring International. In a recent decision, the Bankruptcy Court for the Southern District of New York held that the protections of the ‘Barton doctrine’ applied to a plan administrator under an approved chapter 11 plan, and barred Bermudian insurers from suing in Bermuda to enforce an arbitration clause in an insurance policy.1 The Bankruptcy Court’s decision highlights the pitfalls and limitations of commencing actions in foreign jurisdictions to enforce arbitration provisions against debtors or their representatives while a bankruptcy proceeding is pending. 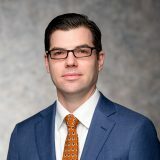 The holding is therefore of interest to insurers in particular and to bankruptcy practitioners generally, as it signals a move in the Second Circuit toward the expansive application followed by the Third, Sixth, Ninth and Eleventh Circuits of the Barton doctrine, which bars suits not just against trustees, but also against other key bankruptcy players such as estate professionals, creditors’ committees and plan administrators. This article was first published in Insolvency and Restructuring International, Vol 11 No 1, April 2017, and is reproduced by kind permission of the International Bar Association, London, UK. © International Bar Association.